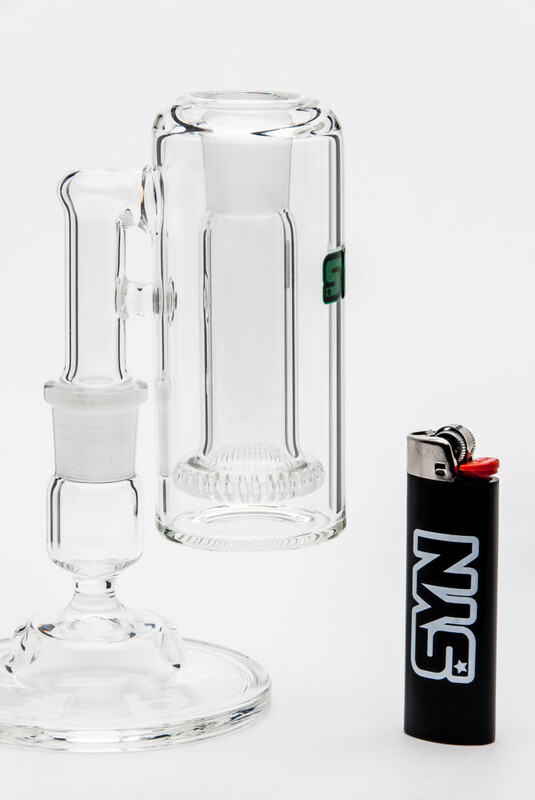 The circ ash catcher is a very utilitarian design. 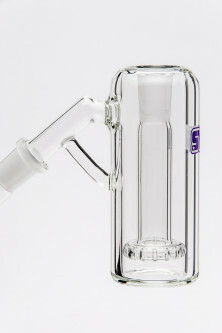 This additional perc system is designed to take the abuse of ground joint impact (from the slide) and provide ash capture and a noticeable increase to diffusion. A recessed seal ground joint hides the fragile glass inside the piece itself, so there is less chance of breaking off this crucial part of the a/c. 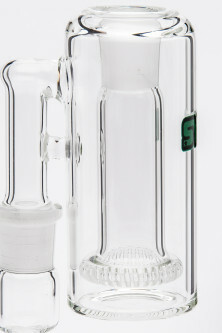 The circ features a maria, or a globed out downstem, with flame polished cuts. This is a medium diffusion low drag design.